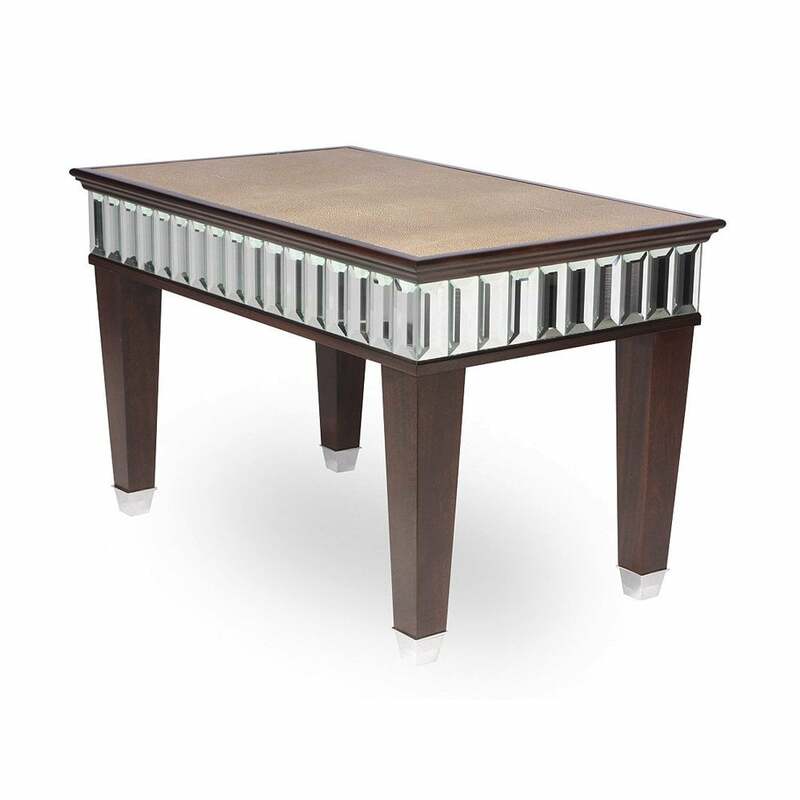 Beautifully detailed contemporary side table shown in wenge with chrome capped feet, and shagreen leather inset top. As with all Simpsons pieces, this side table has been handmade in England. Available in Walnut / Wenge / Antique Silver.